AMI, Bristol, 28th May 2014 – Over the past 60 years, agricultural output and productivity has significantly increased and plastic agricultural film for silage, mulch and greenhouse applications has made substantial contribution to this development. The use of plastic films has been notable in the horticultural industry, as well as in preserving and improving quality of silage, contributing to continuously increasing yields. Plastic films have also enabled the extension of cultivation in terms of the growing season and the location through the use of protective mulch and greenhouse films. For players in the market the business is a challenging one with many conflicting trends. Agricultural Film 2014 discusses the above issues, presents research findings and possible solutions to the problems faced by today’s protected agriculture. It brings together agricultural and horticultural cover specifiers, researchers, manufacturers and the supply chain to the industry and provides a forum to network with professionals active in this challenging industry. The conference will open with a market overview with presentations from AMI Consulting and Reliance Industries.The following session will cover innovation, film performance & material developments with papers from BASF, Daelim Corporation, UBE Engineering Plastics, Arkema, Davis Standard LLC and C-Tech Corporation. The day will close with a Greenhouse film innovation session which will include speeches from the University of Thelassy, School of Agricultural Sciences, A. Schulman and the University of Bologna.On the final day of the conference the session on mulch film-biodegradability & waste reduction will include presentations from Barbier Group, the University of Montpellier and Limagrain Céréales Ingrédients. The event will close with a sustainability & recycling session, which will include speakers from Nippon Goshei Europe, the Comité Français Des Plastiques en Agriculture et Ape Europe, GCR Group, the University of Basilicata, Herbold Meckesheim and Next Generation Recyclingmaschinen. Once again, the sessions will be simultaneously translated in Spanish. In addition to delivering quality papers Agricultural Film 2014 also offers superb and cost-effective networking opportunities with its extensive table top exhibition area. The event regularly attracts over 150 participants and is an ideal place to make new contacts in the industry. 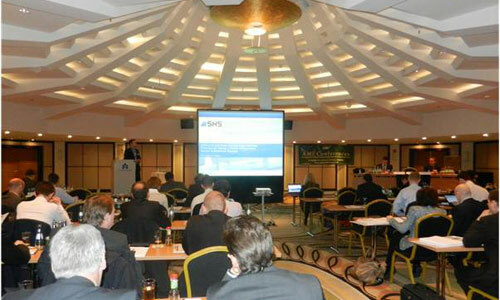 The conference is sponsored by Davis Standard, Bandera Luigi Costruzioni Meccaniche S.p.A., BASF and Nippon Gohsei. Applied Market Information (AMI) is a leading global market research consultancy and the organiser of the market-leading Pipeline Coating conference, which is now in its sixth edition. AMI has offices in the UK and the US. The company provides research, consulting and analytical services and is a major publisher of commercial and technical information for the plastics industry. It organises more than 30 international conferences and seminars each year and also publishes a series of digital magazines – include the quarterly Pipeline Coating magazine – which are distributed free-of-charge globally on the internet and via apps for tablet computers and smartphones.